Earlier this summer, the BHC offered a special funding opportunity: seed grant awards for graduate students and postdoctoral research fellows on campus whose research focuses on brain health or regenerative medicine. Specifically, the BHC was eager to give trainees the opportunity to learn new cutting-edge techniques in stem cell and regenerative medicine research, propelling them into a career of novel scientific and human therapeutic discovery. 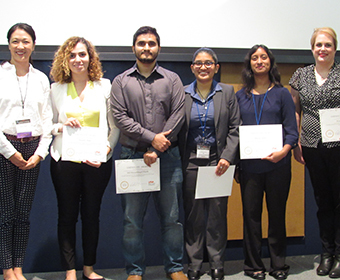 Read the full article, including grant winners, with UTSA Today.